I went looking for a few lessons on adjectives for this week and I wanted to share with you a couple of great ones I found from Babbling Abby. First, I purchased her popcorn adjective lesson from TPT. I love how she brings in the 5 senses with this lesson and makes learning about adjectives so hands on! Its' only $4.50 and well worth it's price. Abby also has an adjective lesson as her most recent blog post. The lesson uses a large box of Crayola crayons to teach color word adjectives.Abby has free downloads for the graph labels and the student recording sheet on her blog. Comment below if you have other great ideas for teaching adjectives. Thanks to all of you who have sent me emails telling me about your blogs. I have tried to keep up with all of them and add them to my blog roll, but I know I have missed a lot of you. If I have missed your blog, please post it below, so I can check it out!! Thanks for sharing! I know some of you might hesitate to purchase thematic units because you think you do not have time to work a theme into your curriculum. There are all kinds of ways to use a theme or unit to teach all of the standards you need to teach though. If you have not checked out Deanna's Dinosaur Math and Literacy Fun Unit and Zoo Math and Literacy Fun Unit then you should do so. These two units offer several activities to use when teaching adjectives (using bubble maps), how-to writing (alligator pie), writing to inform (animal and dinosaur facts), writing to explain (comparing how two animals or dinosaurs are the same or different), and inferencing (what's inside the egg activity). When planning lessons, remember to think outside of the box. There is always a way to connect what you need to teach to a theme or unit. Kids learn better when they can make connections and when the learning is linked to something fun. Connecting what you are teaching to a theme or something the kids are interested in, helps them make stronger connections, and learn more faster. I am sure that a lot of you are getting ready to start units on plants and growing things. Be sure to check out Mrs. Lee's Kinder Kids Spring and Plants Post. I love the idea of writing a letter to Mr. McGregor. 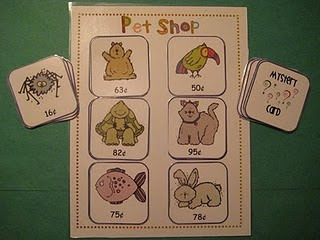 If you are looking for a fun way for your students to practice their money skills, check out Jenn's free download of her Pet Shop Coin Game at Finally in First. Sorry, I have not posted a lot lately. I have been swamped between work and school. I am so behind on blogging. I just got the chance to look through a few posts for the week and I had to share a few things that caught my eye from Kindergarten Crayons. I am getting ready to do a lesson on adjectives in a first grade classroom next week, so I really liked Fran's use of bubble maps with the book, Goldilocks and the Three Bears. 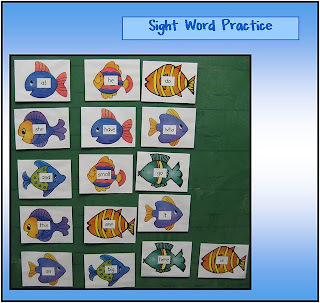 If you are looking for a few word wall games, check out Fran's free downloads for her fish word wall game and her roll a die game. And last, but not least.... I did not even know these existed, but how great are they!! 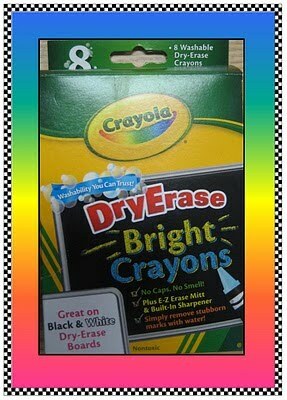 Dry erase crayons!! Fran shares about these in her most recent post. I just found a blog that is new to me and I LOVE it!! It is Made for 1st Grade. Kelly and Diane also have lots of great items at their Teachers Pay Teachers Store. 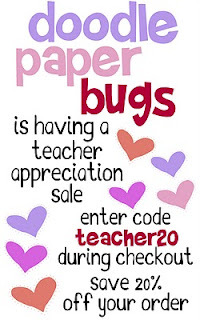 If the blog is new to you too, check out their older posts for fun freebies. My favorite is their Writing and Word Wall Posters Post. Here is the oviparous animal download on Scribd. Here is the same insect post on Scribd. If you need a cute spring song to sing for something, Charlotte Diamond's Each of Us if a Flower is a great one. You can hear a sample at Each of Us is a Flower. It is from her CD 10 Carrot Diamond. We shared facts about how flowers grow and what they need. Then we sang and acted out the song. During the chorus, the students "played guitar." They were so cute! Here are a few things I do when I teach about oviparous animals. Before we left for break, I taught Deanna's skittle math lesson from her St. Patrick's Day unit. I know St. Patrick's Day has passed now, but there are several lessons from the unit that could be used any time, so if you have not purchased it, you may want to still check it out. I began the lesson by talking about graphing and collecting data so that we could learn more about a concept or answer a question. I passed out one skittle to each student and told them to make sure they knew the color of their skittle. I also told them that we would be creating a graph to show what color of skittles we each got and to find out what color we had the most of, the least of, etc. Then we ate our skittle and began our data collection. As each student told what color of skittle they had, they glued a circle on the graph to show their skittle. As we added circles to the graph, I reminded students that we were collecting data. As we added to the graph, I asked students what color we had the most of or the least of. We also talked about colors that were the same or equal. After creating the graph, we completed this chart together. This is a large version of Deanna's student sheet. After the whole group model, I brought out the student graph, a ten-frame sheet, and a zip-loc baggie of 20 skittles so that I could once again model the graphing process for the students. I demonstrated how to color code the color words on the bottom of the graph. Then I showed students a sheet with two ten-frames on it. I pulled out all of the red skittles and placed them on one of the ten-frames. Then we counted them together. Then I showed students how to outline the boxes on the graph and color them in. Then I put all the red skittles back in the bag and started on the next color. I modeled how to go in order of the colors on the graph, how to lay the skittles on the ten-frame, how to keep them on the frame until the graph was colored, and how to only have one color out on the ten-frame at a time. After my complete model, I gave students their own graphs, ten-frames, and baggies of skittles. I found that the complete model helped all of the students to be much more successful the first time. The ten-frame helped them keep track of their skittles easier too. A lot of times, we have students lay the candies on the graph but this makes it hard for them to keep track of and color the graph. On a different note.... Deanna's unit also has a lesson on making a rainbow. 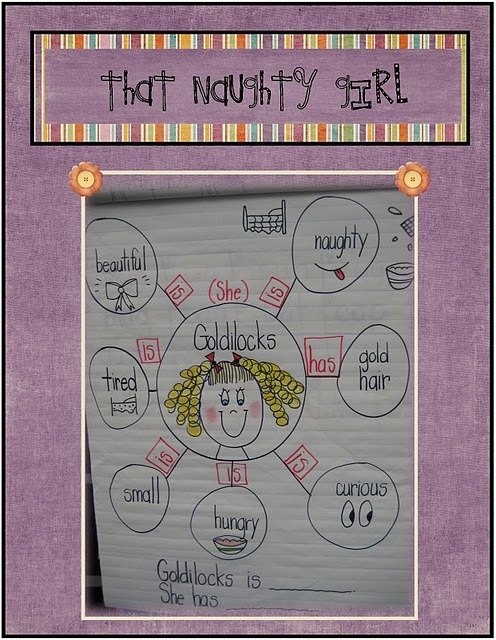 This activity would make a great how-to writing lesson. Tawny, a blogging friend of mine just shared this Voicethread she did with her class on Texas. I know that in Texas, open house is coming up and a lot of teachers are displaying Texas work. This is a great idea if you have a TV where you can show a slide show. The Voicethread is called "Texas, Texas, What Do You See?" It shows pictures of Texas symbols while the students narrate. I love it!! You could easily adapt this idea to any state or for sharing facts about something your class is learning about. Texas, Texas, What Do You See? Melissa and Nicole from Lesson Plan SOS have started a blog. Make sure you check it out at Lesson Plan SOS. Don't forget about their website Lesson Plan S.O.S. either. It has great downloads for sale. We read the book, The Easter Egg, by Jan Brett. Then we made construction paper rabbits from TLC lessons and did this writing response activity. We made crayon resist Easter eggs. Make or purchase a giant Easter bunny cutout. Then for an interactive writing lesson, use sentence strips to label the rabbit with the following: I am an Easter bunny. See my floppy ears. See my yellow chick. See my pink nose. See my bow tie. See my striped jacket. See my fluffy tail. 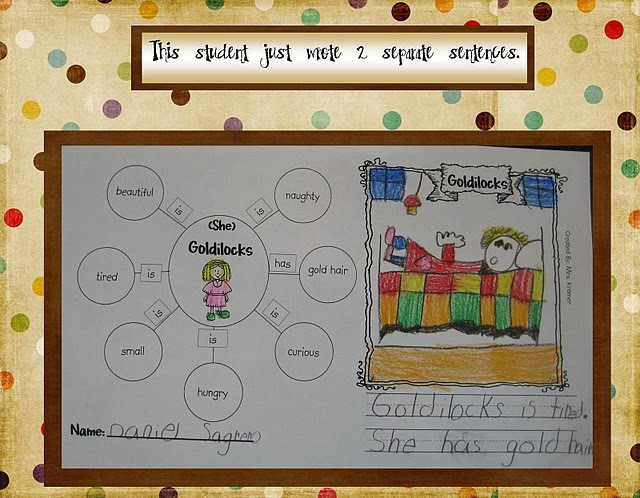 Create a class poem or have students write their own. Estimate how many jelly beans or Easter egg candies are in a jar. Eat Starbursts jellybeans and then graph your favorite flavor. Go to http://www.kidscount1234.com/ and look under "graphs" to find graphing ideas for spring candies, jellybeans, and marshmallow bunnies. 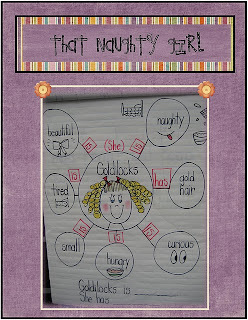 Shari has the sorting and graphing sheets available for download. Dye Easter eggs. Then write a how-to paper on how you did it. Read a book about the Easter Bunny. Then read a book about Santa.Use a Venn diagram to compare Santa to the Easter bunny. The TLC spring and summer book has a cute version of Peter Rabbit. I think I have a picture in a file somewhere. I am going to look for it. I will post it when I find it. I found this Easter quilt on Kim Jordano's site a few years ago and made it with my class. I put together this chunk sign to go with the others ones. On Friday, I taught one of the living and non-living lessons I posted the other day. 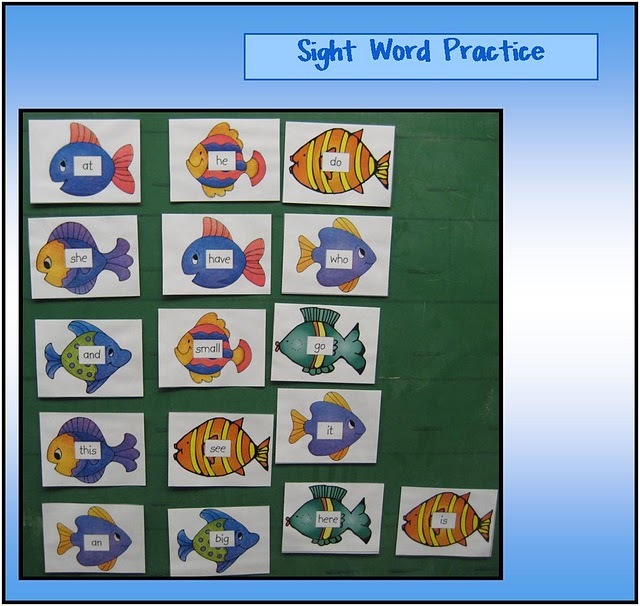 As part of the lesson, I had students work in small groups to sort living and non-living pictures. I created pictures for the sort and thought I would share them. Important points to remember- Once a living thing, always a living thing- meaning...living things can die and then are no longer alive, but they are still considered a living thing. For example: logs are no longer alive but they came from a tree that was a living thing so they are a living thing. Also, focus in on the fact that living things can move but not all things that move are living things- for example:a clock, a car, water, etc. I had a lot of fun this week with Deanna's St. Patrick's Day unit. I made Leprechaun Punch with a group of kindergartners. Then we did some how-to writing afterward.